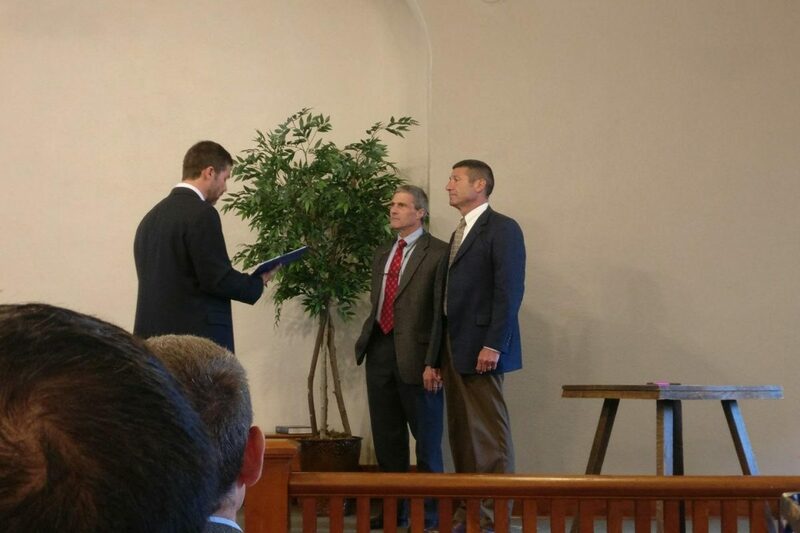 This past Lord’s Day on May 15, the Springs Reformed Church in Colorado held an Elder Installation and Ordination service to ordain and install elder-elects John Logan and Jorge Klajnbart. John retires from many years as chairman of the deacon board to take on his new duties as part of our session, and Dr. Klajnbart has been a long-time member of Springs Reformed. Though he is now battling cancer, God has shown him, and the congregation, much grace in allowing him to maintain his usual strength and stamina, along with his other elder qualifications. Please pray for these men and their families as they settle in to their new duties in service to the Springs Reformed congregation.